A game day ribs recipe that’ll have your ribs ready in less than 3 hours so that you can sit back and enjoy the game with great food. These babies are so good, you’ll enjoy eating them as much as you enjoy cooking them! Here’s a quick recipe for cooking game day St. Louis style pork ribs on the smoker. The ribs should be ready to enjoy in less than 3 hours, so it’s perfect for that last minute Superbowl party (or simply if you want to eat a lot of them). The preparations needed for the ribs are super quick, so before you even get to that, fire up your smoker and allow it to get up to temp. Cooking in the 275ºF range for best results on this cook. Time to check out our ribs: if your meat provider has not done so, trim off any loose meat, excess fat, and silverskin the ribs may have. Then season liberally on both sides with your go-to rib rub. Allow the meat to sweat through the rub for 15 minutes. Place the rib rack on the smoker. Cook for 2 to 2.5 hours, or until the meat starts pulling back from the bones. Unwrap, then glaze with Apricot BBQ sauce and place back on the smoker for 15 minutes. 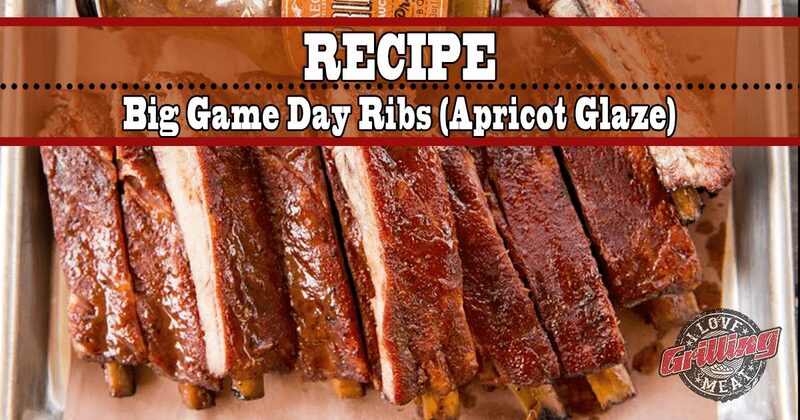 Enjoy this game day ribs recipe! I’m eating leftover ribs today after smoking 3 racks yesterday. No work for me today! I like the idea of apricot ribs though, going to do it next time. I’m smoking ribs right now. Awesome Keith! Keep it rollin’ brother!